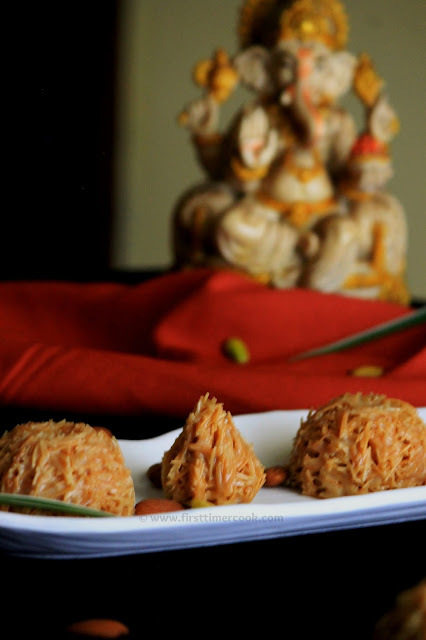 Modak or modakam is an Indian sweet rice flour dumpling. The modak is the favorite sweet of the Hindu deity, Ganesha. Lord Ganesha has a special place in everyone's heart — he is cute, adorable and loves to eat. So, Ganesha Chaturthi is the best time to pamper your sweet tooth with none other than the Elephant God's favorite, modak. It is said that any offering to Ganesha is incomplete without the Modaks. Modak or sweet rice flour dumplings are traditionally made by stuffing grated fresh coconut and jaggery, then steamed or fried. These are consumed primarily during Ganesha Chaturthi. 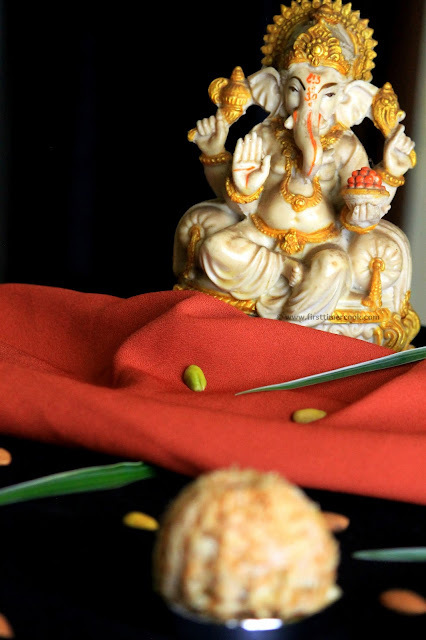 During Ganesha Chaturthi, the puja always concludes with an offering of 21 modaks to Ganesha as prasadam. Modaks made with rice flour shell are often preferred for this purpose. 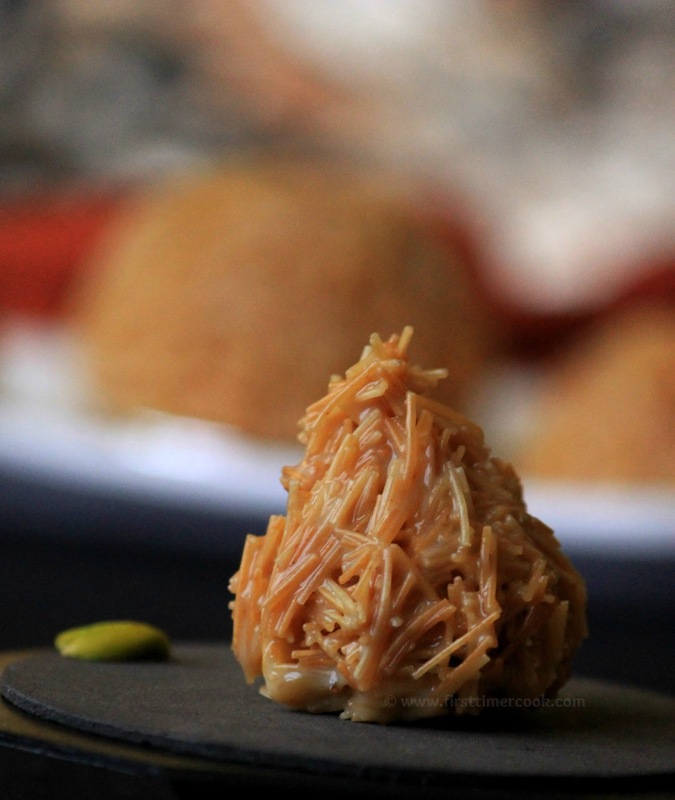 Steamed modaks are cooked in a steamer and they need to be consumed immediately where as fried modaks are deep fried in oil which makes modaks last longer and have different taste too. Apart from the traditional modaks, there is a lot of variety available in the market which gives a modernized twist to the classic sweet. Some popular and easily available versions are chocolate, mango, pista, kaju, khoya etc. I make traditional modak every year for this special occasion, but this year I am sharing an unique version of modak. It is made from vermicelli or seviyan. I have stuffed these modaks with finely chopped dry fruits. These are awesome in taste as well as texture. 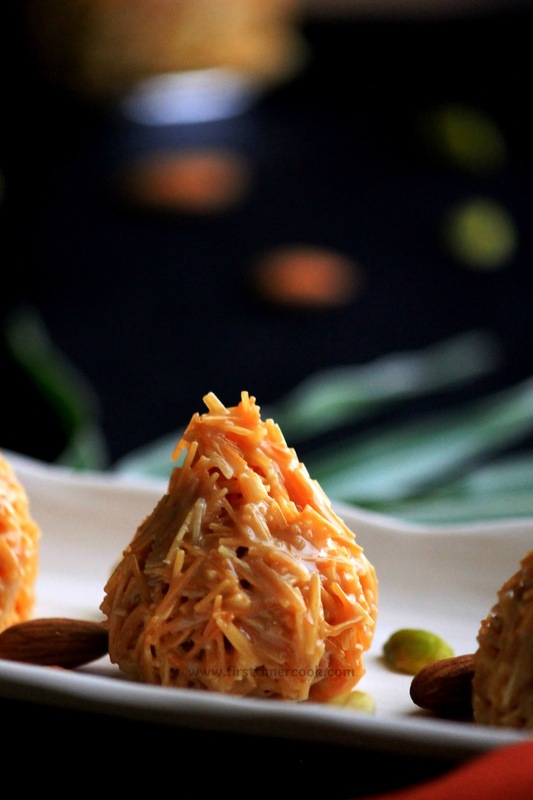 Traditional or not, modak in any form is a great way to honor our favorite god, Ganesha while satiating our sweet tooth too. 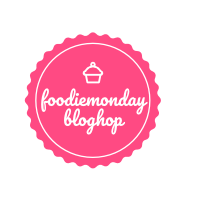 Again this is Monday and the theme for 106th Foodie Monday Blog Hop is 'Ganesh Chaturthi Special'. I have contributed these 'vermicelli modaks with stuffed dry fruits' for the theme. 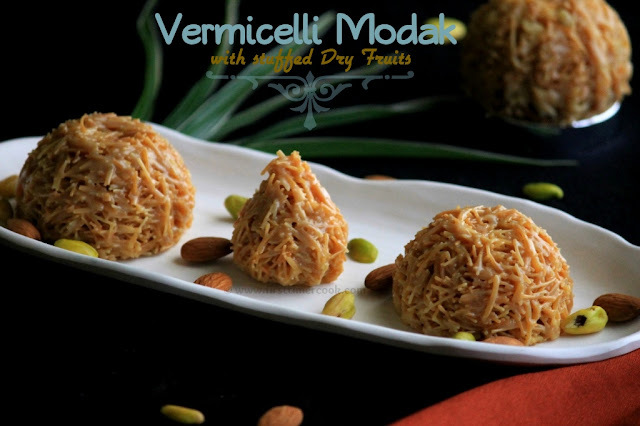 So lets go in details method of preparation of vermicelli modak with stuffed dry fruits as mentioned below. Grease all the modak molds with little ghee. Finely chop almonds, pistachios,cashews and raisins. In a pan, dry roast the desiccated coconut till lightly browned. Take out to a large bowl and keep aside. Next heat 1/2 tsp ghee in the same pan, then add all the chopped dry fruits together and fry till lightly browned. Transfer all fried dry fruits to the large bowl and mix properly with coconut and keep aside to cool completely. Next add 1 & 1/2 tsp ghee to another pan and roast vermicelli or seviyan until golden and the aroma emanates. Switch off the flame and add condensed milk. Mix it well quickly as the condensed milk will become hard as toffee. Take a modak mold, close or lock the mold gently. Put 1-2 tbsp of vermicelli mixture in the mold depending upon the size of the mold. Press the mixture along the side of the mold, so that there will be cavity. Add 1 tsp of dry fruits mixture, then cover with little amount of vermicelli mixture on top. Press gently to have an even layer. Now open or unlock the mold. Gently remove the modak from mold. Similarly make modaks from rest of the vermicelli mixture. Store all vermicelli modaks in an air-tight container and keep in refrigerator. Shaping the modaks can be done in mold as well as by hand. To shape them by hand, first grease your palms with ghee. Put 1 tbsp of vermicelli mixture in the palm of one hand, press gently as thin as possible, place 1 tsp dry fruits mixture at the center, then again put 1 tbsp of vermicelli mixture over dry fruits and form a conical or round shape. 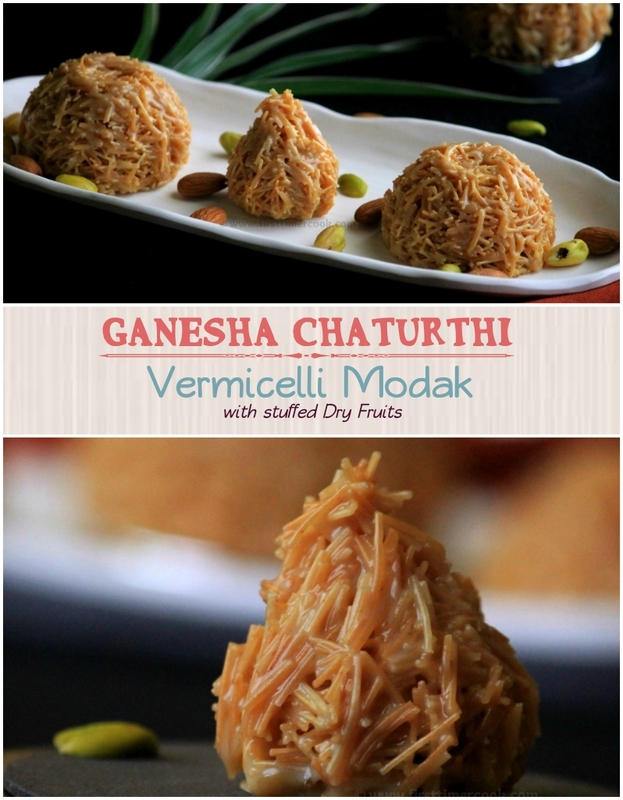 Always prefer to store these vermicelli modak in an air-tight container. These modaks will last in refrigerator for about 2-3 days. Keep applying ghee on the mold for every modak. Loved the idea of using Vermicelli as the covering! You are right Sasmita..traditional or not modak remains Ganesha's favourite. Such an innovative share ! Lovely share. So innovative. Loved the idea. Bappa will be super happy to get these new types of modak. What a lovely innovative idea Sasmita...looks so gorgeous. Bahut khoob, yummy. Thanks for share with us. These look and sound delicious! I have never seen them where I live. Thanks for sharing the tradition of how they are eaten as well. Very innovative way of preparing a Modal Sasmita! The ghee and dessicated coconut makes it more flavourful. A different kind of Modak. Looks so delicious. Very innovative,very tasty and absolutely yummy! Lovely Innovation!! Modak looks Delish.